Memphis Gridiron Ministries is an outreach ministry created to administer, support and oversee youth tackle football programs in East Memphis and the Binghampton community. 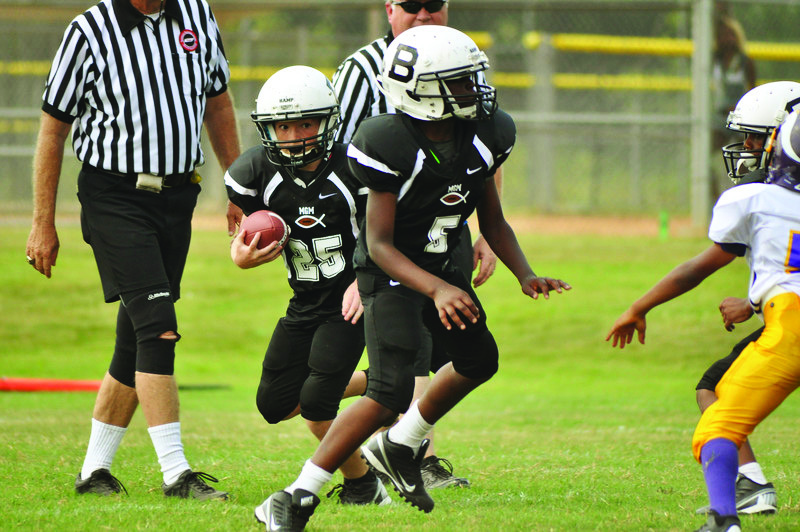 Memphis Gridiron Ministries is unabashedly a Christ-centered youth football organization for early grade school boys, focused on sharing and modeling the Gospel of Christ by way of spiritual coaching, mentoring, relationship building and defeating the "Win-at-all-Cost Mentality" that is pervasive in many youth sports today. We believe that when presented right, tackle football provides a unique environment to mold and shape the character of young men and prepare them to be successful in life. Our goal is to defeat the “Win-at-all-Cost Mentality” by redefining a winner, instructing our athletes how to honor the game, and developing a concept of serving others over self. Our programs are not defined by our opponents, trophies, or records, but by the experiences our athletes are engaged in. We believe that participation in sports is one of God's greatest gifts because of what it teaches us, develops within us and allows us to discover about ourselves. As such, we believe that it is imperative that we first and foremost honor God in our pursuit of athletics, and make it our goal to impact our boys’ lives in a positive manner - to create a love of the game of football and a desire to play the game with honor, integrity and passion. Want to support this ministry? Your donation helps with Capital Projects or our Annual Operating Budget.